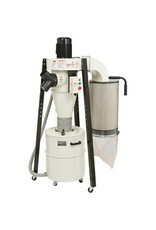 This 11/2 HP Portable Cyclone pulls 806 CFM and has a maximum static pressure of 10.4". 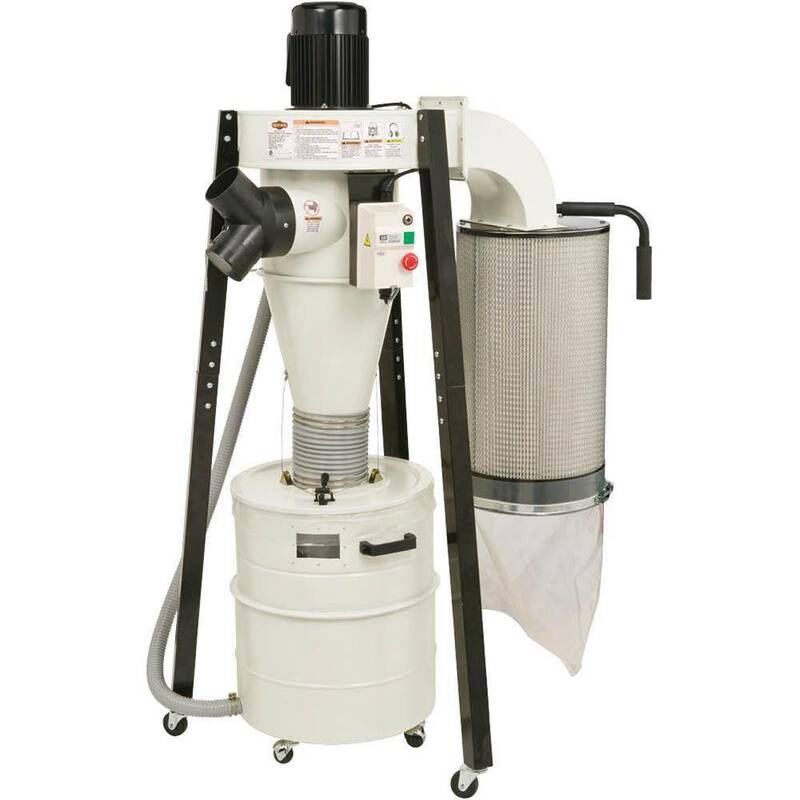 When the time comes, collected dust is easy to dispose of thanks to the 20-gallon drum with casters and plastic bag liners. The viewing window on the side of the drum eliminates any guesswork of when it's time to empty the dust, and the lever and cable lid-raising mechanism makes emptying it a cinch. The 2.0 micron pleated filter also has an internal cleaning paddle to help keep the filter at peak performance. Approximate shipping weight: 166 lbs.